Rabbit Run: When it Comes to Bunnies, Does Cuteness Impact Deliciousness? This story was published by the New York Times over a week ago, but I keep finding myself talking about it, so I figured I would bring it up with the legions of Griddle readers. 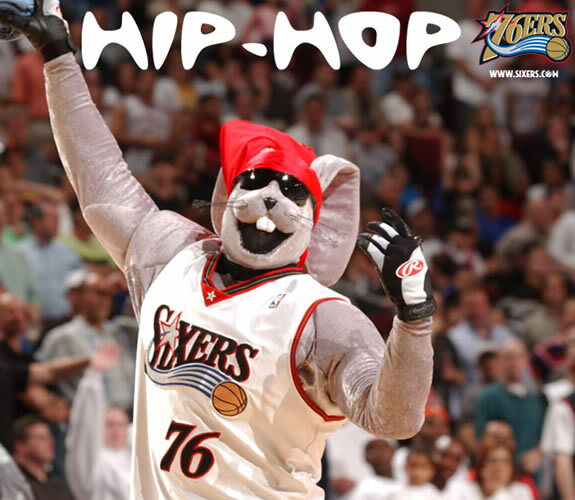 Despite the horrific title, "Hip Hop Cuisine" (which just makes me think of this atrocity), the article is an interesting discussion of eating bunnies—er, I mean rabbits. It centers on a rabbit butchering workshop held in What's-Next-In-Food Central: Brooklyn. I love rabbit. I ate some lapin when I was in France last fall. When prepared correctly, it has a lovely flavor. It also takes well to braising, my all-time favorite meat preparation. That said, it was hard not to look through the slide show that accompanies the story and not cringe a smidge at all those adorable bunny faces. Yesterday the article came up in conversation with my mother. She said that rabbits were pets, like her beloved cats, and that she could never eat one. I responded, "You're drawing arbitrary lines." She replied, "Yes, I am drawing arbitrary lines—but they're bunnies!" So, how do you feel about eating rabbits? Think you could stomach a workshop that involved killing one yourself?